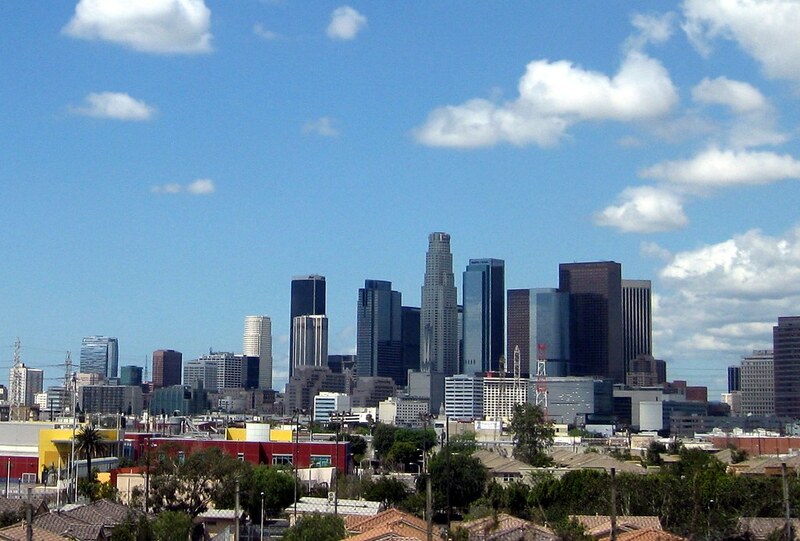 Los Angeles skyline seen from US Highway 101, taken on a clear April day…and a much cooler day than today’s record-setting 113 degrees! 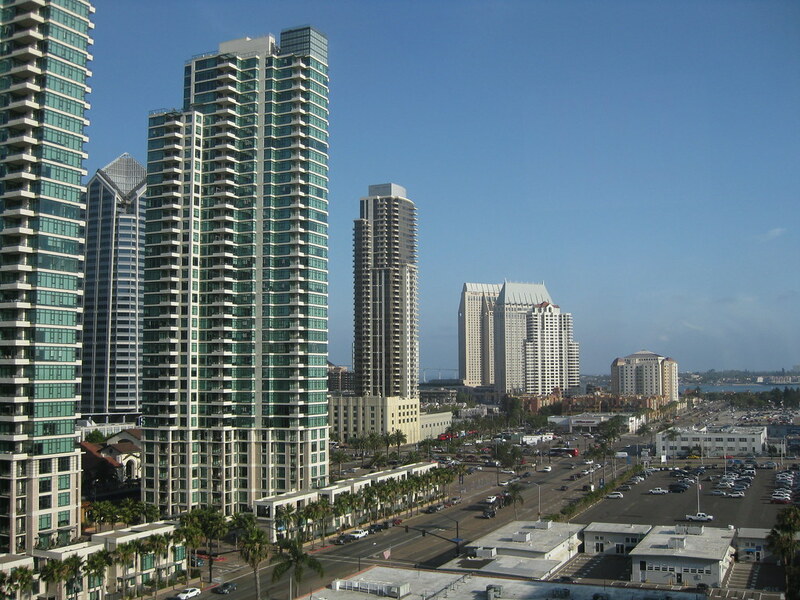 San Diego, looking down Pacific Highway toward Harbor from the Holiday Inn on the Bay. The tall blocky building at the end, with the peaked roofs, is the Manchester Grand Hyatt. The shorter one is the Embassy Suites. 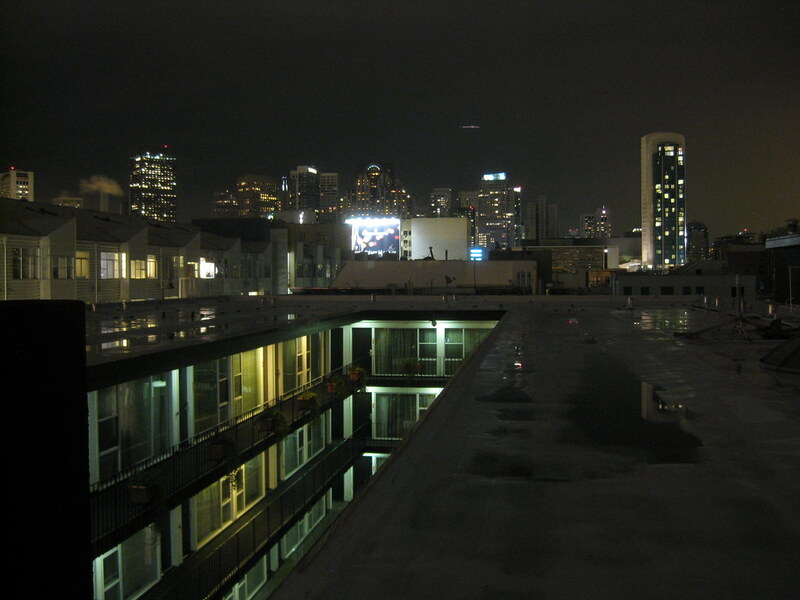 I believe the taller buildings are all high-rise condos. 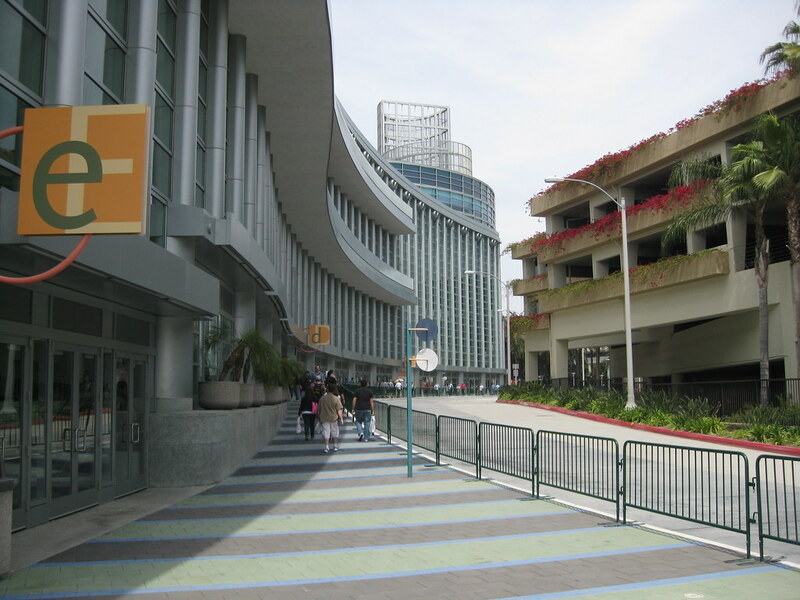 This was taken last year during Comic-Con International. It seems appropriate that I’ve worked up to this point in my photoblogging project, since hotel rooms for this year’s con go on sale Thursday at 9:00. 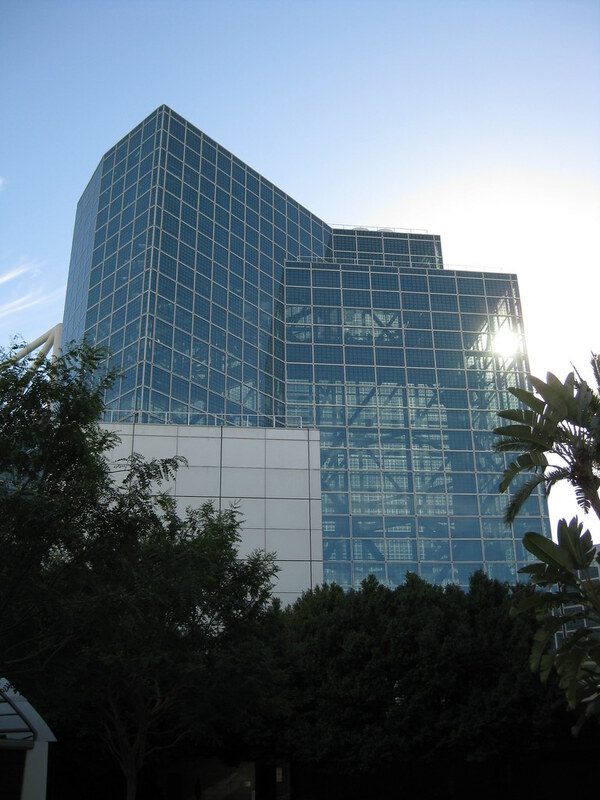 Update: I’ve posted some tips on how to get a hotel for Comic-Con. Skyscrapers and Clouds, originally uploaded by Kelson. 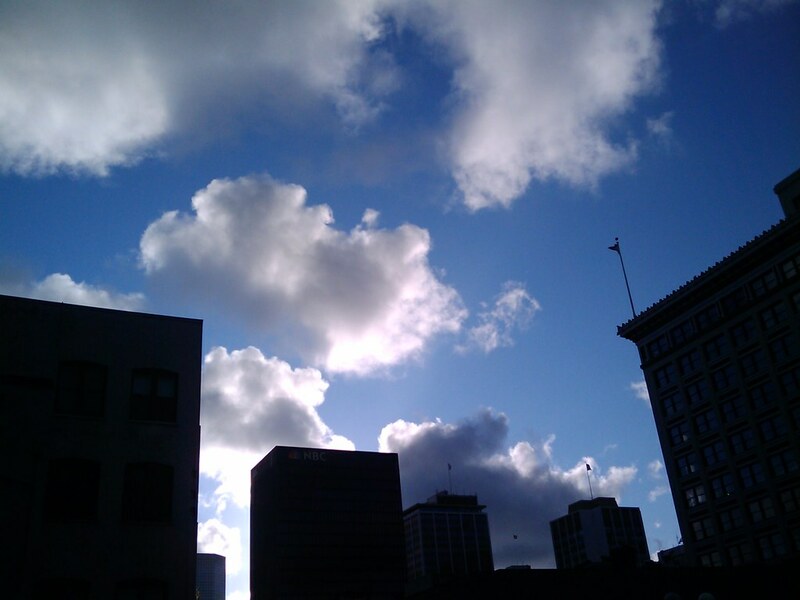 Back-lit buildings in downtown San Diego. Gleaming Towers, originally uploaded by Kelson. 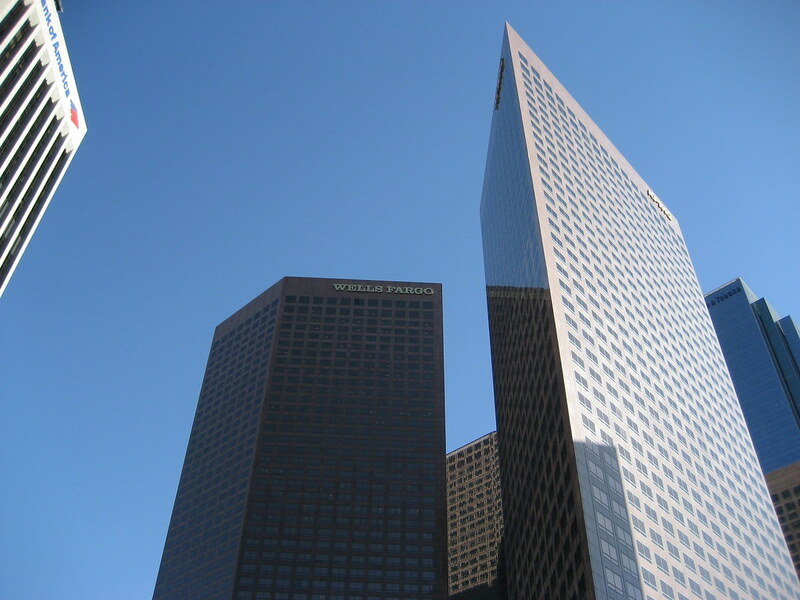 Sunlight reflects off the US Bank tower and another skyscraper in downtown Los Angeles, with AT&T offices in the foreground. 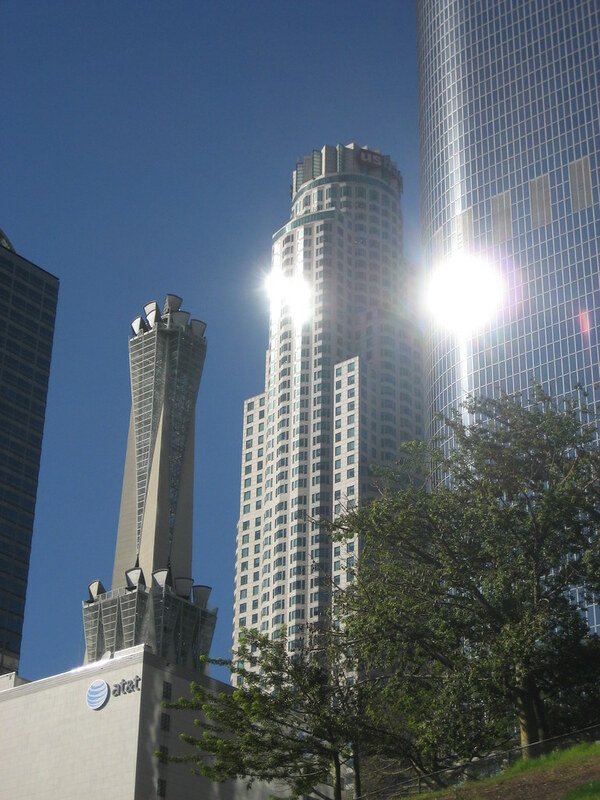 LA Towers, originally uploaded by Kelson. 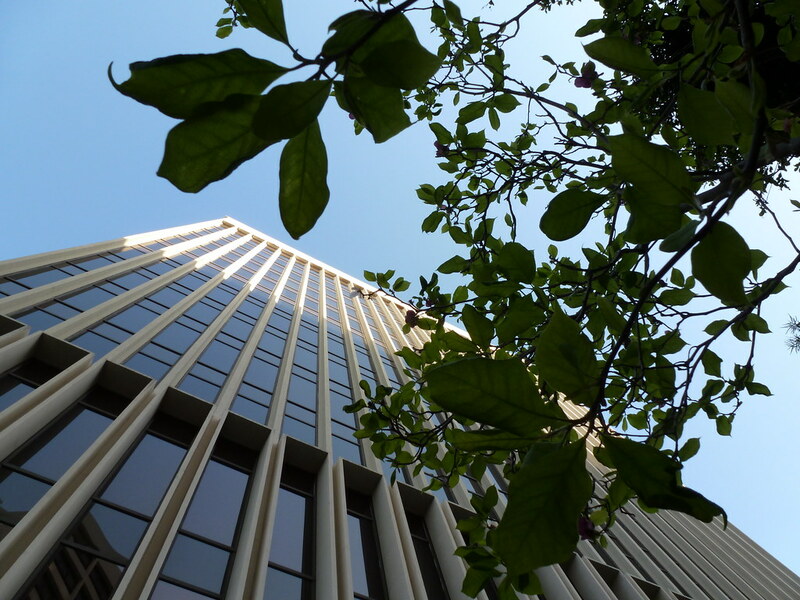 Looking up at Downtown Los Angeles.